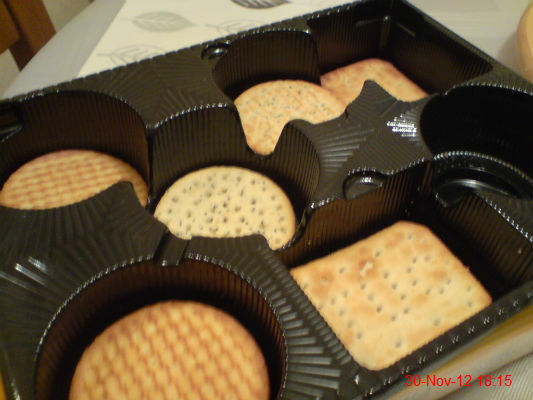 It's always lovely going round to my mam's, especially when she gets the cheese and crackers out after tea. This takeaway menu arrived. 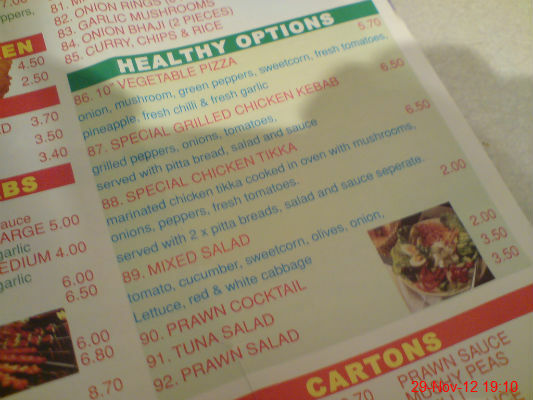 Who wants to see a list of healthy options? We want grease and enough calories to floor a lion. These were free. I'm not impressed. 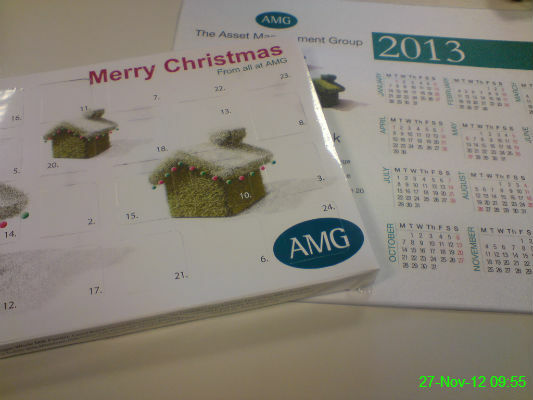 It's that time of year where gifts start arriving at work and those kind folk over at AMG sent some advent calendars and some 2013 mousemats. I'm a generous soul, so I distributed them throughout the team instead of keeping them for myself. 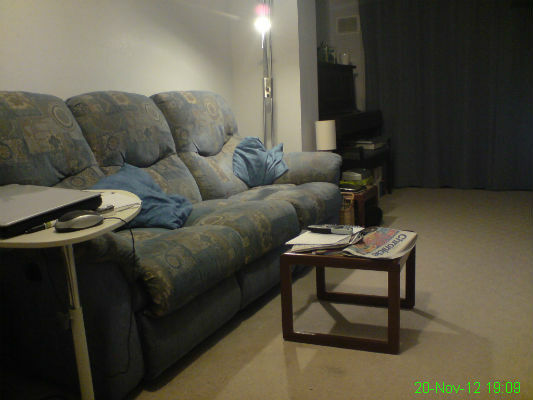 Our home now contains an Xbox. 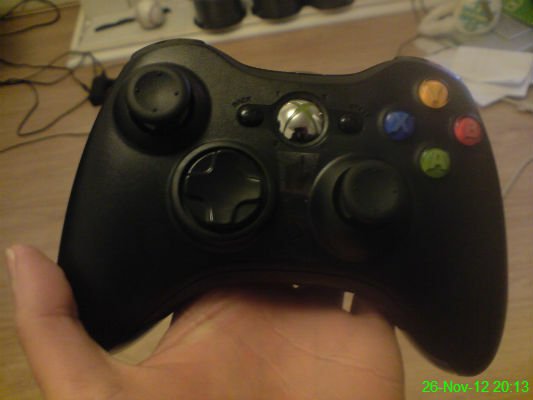 I haven't used it yet, but here is the controller. 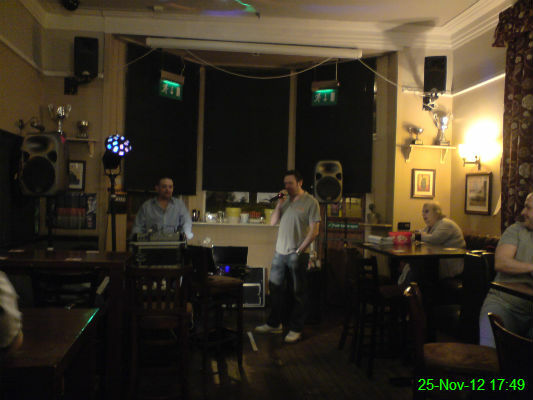 Stu delighting the crowd at the Wheatsheaf by singing the Court of King Caractacus on karaoke. 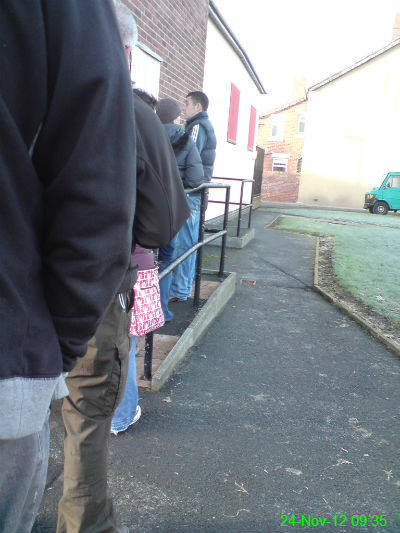 I had a package to collect from the sorting office in Forest Hall and clearly several others did too as the queue was out the door. By the time I left 10 minutes later it was halfway down the road! Occasionally the lasses from work go for a meal and a few drinks and tonight we divided up our lottery winnings and went for a happy hour meal at Marios. 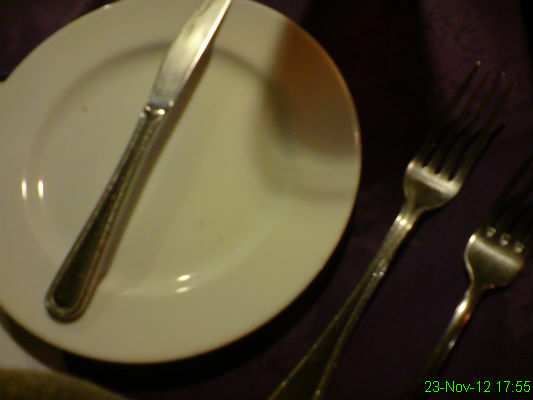 It only ended up costing £1 over the winnings, which I couldn't grumble at! A match that was extremely frustrating but ensured qualification for the next round of the Europa League. We sat in Bar 1892, which is a bit posher than our usual seats. I was certainly surrounded by a few Tarquins. 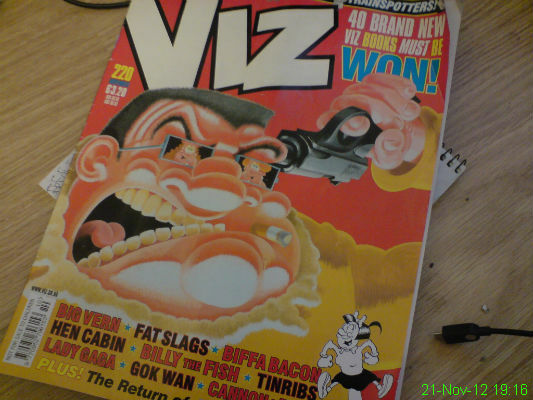 It's not always to my taste, but I sometimes have a skim through if Michael buys it and there are some funny bits. I always love a trip to my mam's house for some lovely food and of course a browse through the newspapers, because I never bother to buy them myself. 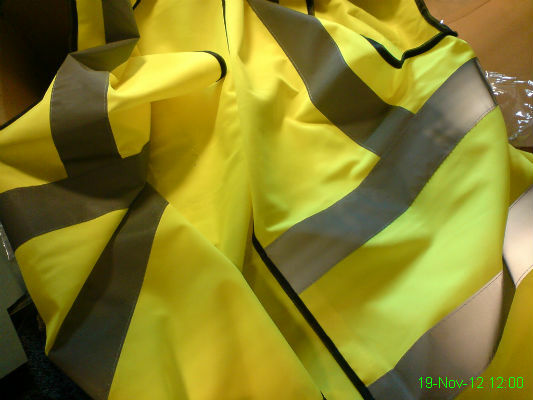 To my utter shame, I've been presented with a vest for use during my fire warden duties. Oh the humiliation. 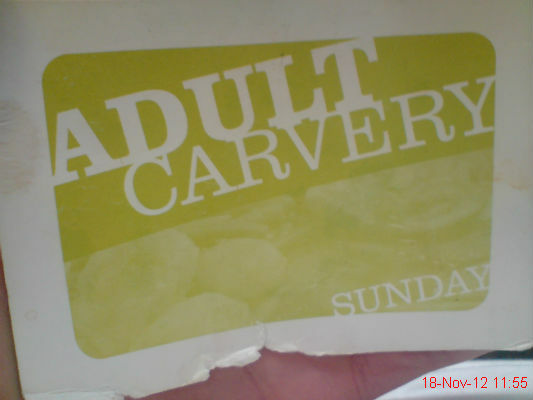 The best cure for a hangover is a Killingworth Arms carvery. 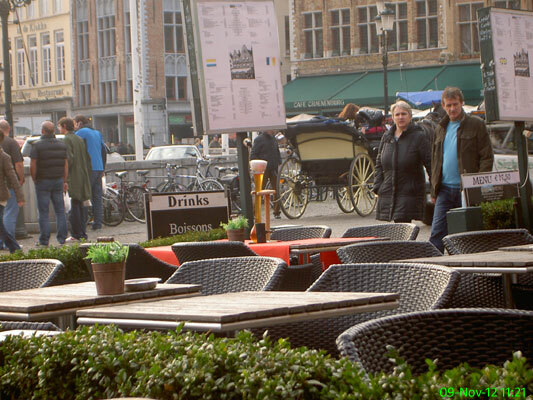 A typical match day out on the drink. 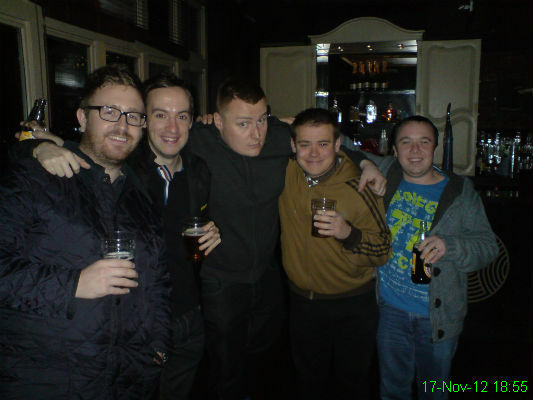 Russell, Matt, James, Michael and Craig enjoy a pint in Number 9. 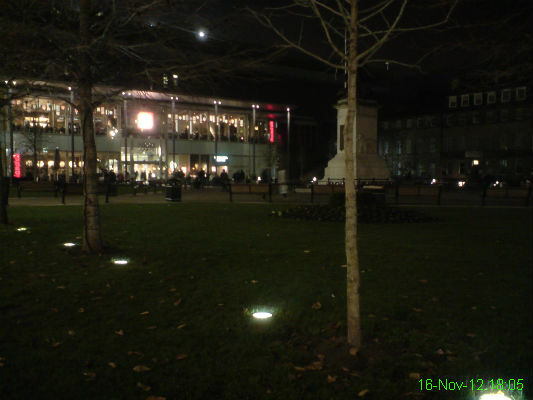 The area of Newcastle known as the Green or the Hippy Green used to be where the goths and rejects hung out, now it has a Nandos and a Starbucks. Things change. 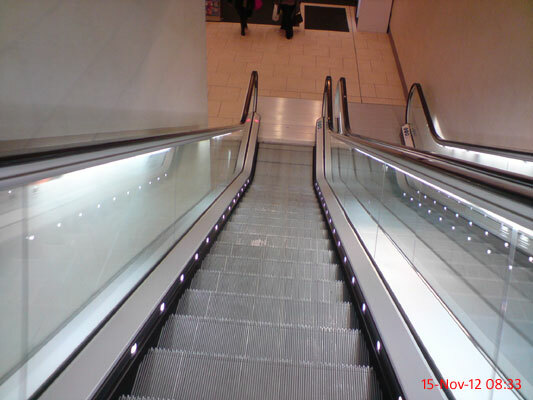 A thoroughly exciting journey down the escalator. 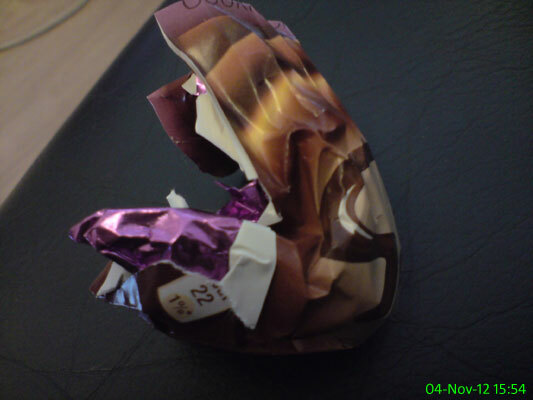 We have what I call "Lunch Gremlins" in the office, which are the annoying people who move things round in the fridge. 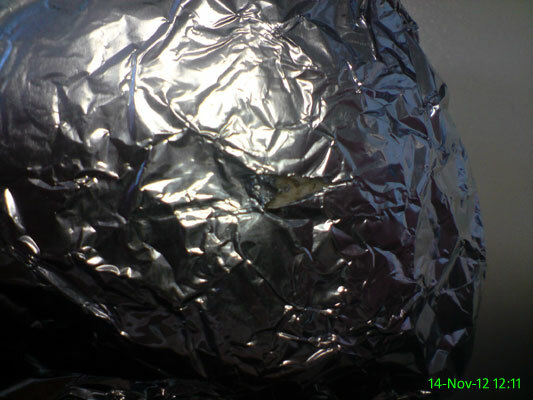 Today the foil covering my wraps had a rip in it, which I found a bit alarming given the disgusting state of the fridge. 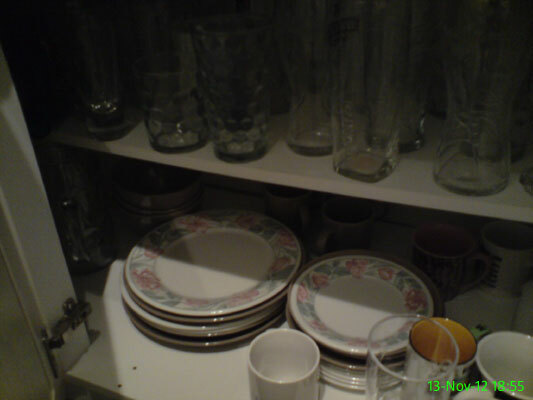 One of our kitchen cupboards, which contains an exciting array of glasses, plates and other bits and pieces. 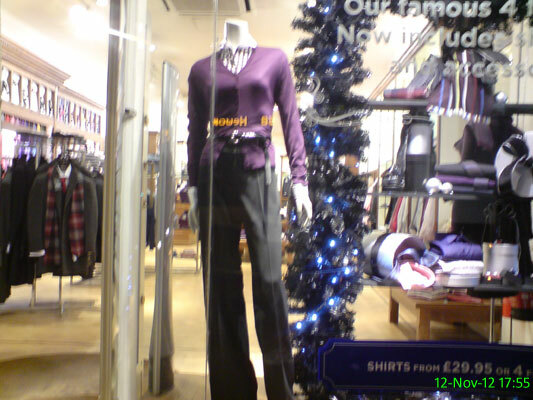 I find headless mannequins extremely creepy. 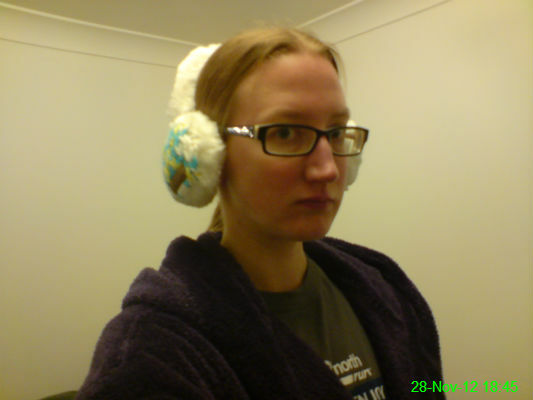 At least this one is smartly dressed. 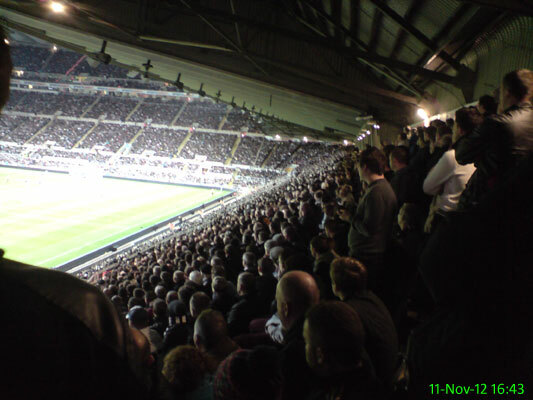 A disappointed East Stand watching Newcastle lost 1-0 to West Ham. Michael and I clearly have differing ideas about what constitues a holiday or trip souvenir. 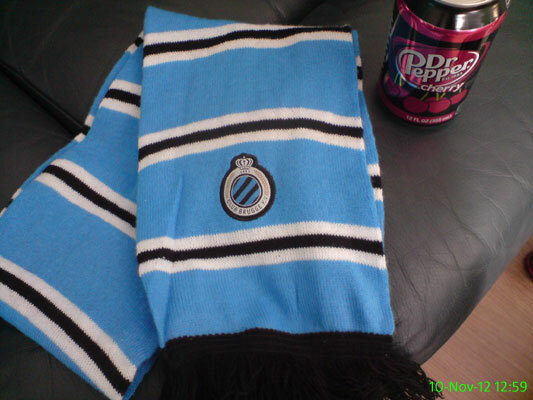 I bought a warm Club Brugge scarf, he bought several cans of cherry Dr Pepper. It's not often a yard of ale finds itself left unattended but there were evidently a lot of hungover Geordies in the Market Square because no one touched it. 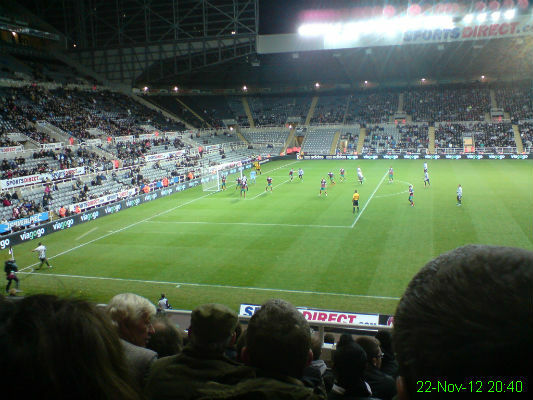 I was at the Jan Breydel Stadium to see Newcastle come from behind with goals from Vurnon Anita and Shola Ameobi to rescue a point. 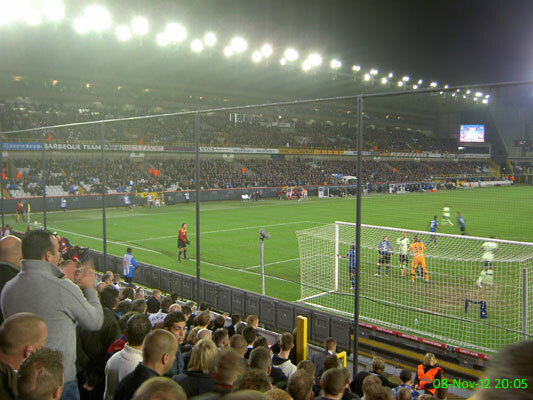 A fantastic experience, but the stadium is pretty far away from the city centre so it was a long walk there and back. 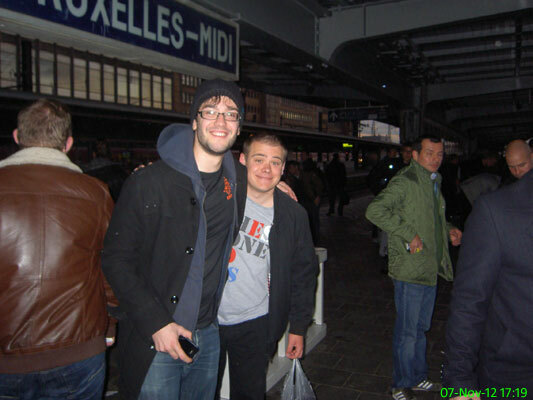 Any Newcastle away trip always involves a round of Familiar Face Bingo and this one was no exception, as we bumped into Dino and several others in Brussels. 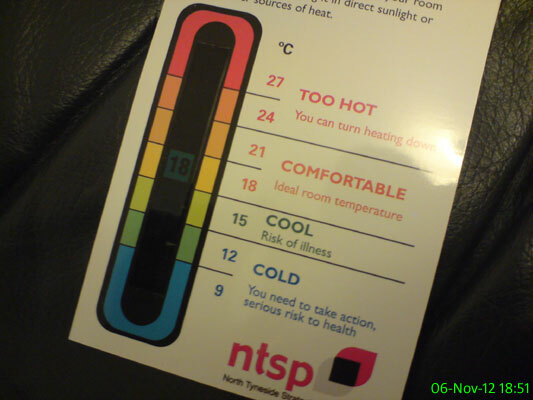 Apparently our living room is roughly the right temperature. 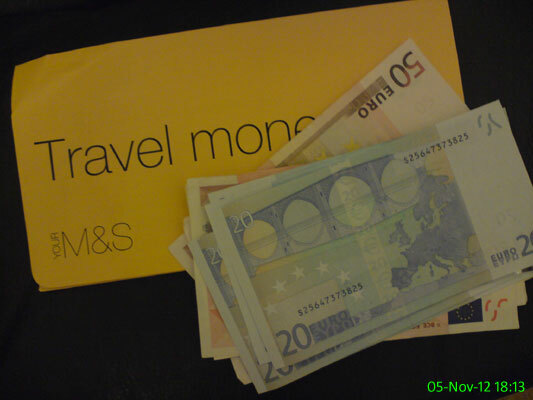 I paid a visit to Marks & Spencer to get some Euros, ready for going away to Brugge. I don't have much of a sweet tooth but I was craving some chocolate today. A quick trip to the shop was required and thanks to a delicious bar of Galaxy Cookie Crumble, my craving has been satisfied. 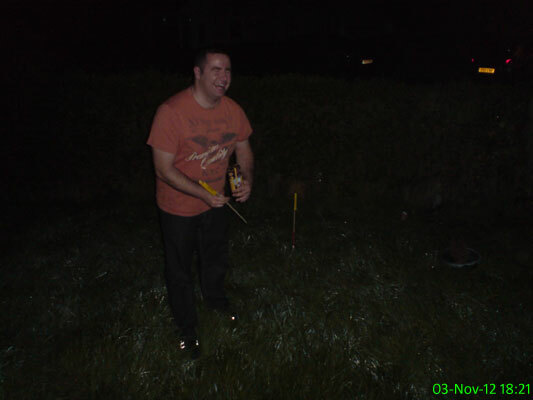 Mick prepares some fireworks at a party to celebrate his Grandad's 70th birthday. As the song goes: "We're all going on a European tour!" 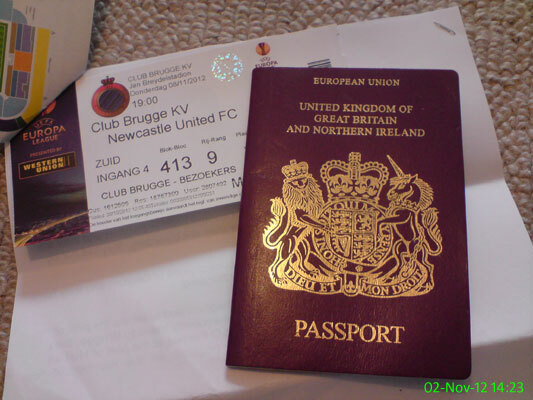 I picked up my ticket for the away game at Club Brugge and now I can't wait to get there! 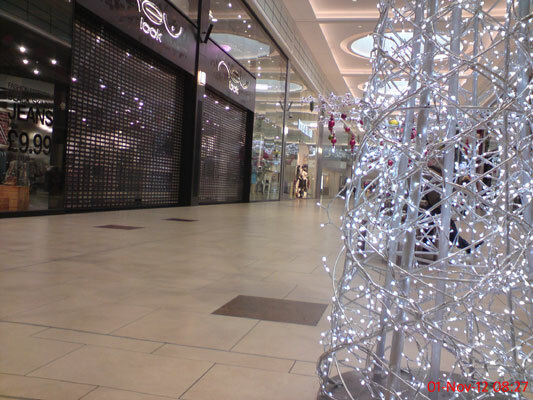 I was a bit early for work and also for my weekly trip to the Weigh House so I had a slow stroll through a quiet Eldon Square. I was a bit alarmed to see sparkly things that look dangerously like Christmas decorations.